The new MakeMyTrip simple ticket booking option on the platform will make building itineraries easy for the commuters. 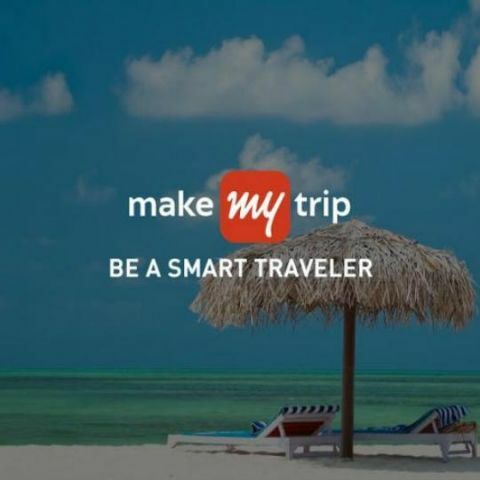 The MakeMyTrip smart solution for the Do-It-Yourself new age traveller, Multi-City Travel, will help travellers build multi-city itineraries -- picking best time and price options in a matter of few taps on the app. With this feature, you can combine two different trips into one. MakeMyTrip launches a smart solution for the Do-It-Yourself new age traveller: Multi-City Travel. This solution works best for travellers who regretted missing out a great location en route their destination because they couldn’t draw up multiple flight itineraries. This feature will help travellers build multi-city itineraries – picking best time and price options in a matter of few taps on the app. By booking a multi-city travel on MakeMyTrip, customer can add explore more places by adding destinations to their travel itinerary by comparing flight schedules and costs. Say if someone is travelling from New Delhi to Auckland, New Zealand. A quick search for a New Delhi to Auckland flight will tell them that most flights go through Singapore and have long layovers there. If Singapore has been on their travel bucket list too, they can use the time between flights to explore Singapore by travelling on a multi-city ticket. A New Delhi to Singapore flight that lands at Changi International Airport at 9 am and a Singapore-Auckland flight that takes off at 11.50 pm gives them a day-long window to explore Singapore and costs approximately INR 70,000. On the other hand, a one-way Delhi to Auckland ticket will cost them around INR 40,000 and involve two stops and more than 20 hours of travel time. If they plan a separate trip to Singapore, the cost of travel will exceed the difference in prices for one-way and multi-city tickets. Multi-city travel is also a great way to combine two different trips into one. For instance, if a customer has a wedding to attend in Kolkata and is also planning a trip to Andaman, they could book a multi-city ticket instead of a hopping flight. Since most flights to Andaman are routed via Kolkata or Chennai, it is the ideal way to fuse two trips into one. A multi-city ticket on this route will cost them around INR 11,000 and give them an opportunity to split their travel over two days whereas as a direct flight with a layover in Kolkata will cost around INR 9,500. For travellers who travel for business often, be it within the country or overseas, a multi-city itinerary can help them get more done on a single trip. Say is someone is travelling to London for a business conference and also have some clients to meet in Zurich, Frankfurt or Dubai, they could easily add as many stops in their multi-city travel itinerary and cover them all in a single trip. Most international destinations entail painfully long flights. The idea of spending an entire day in aircraft and airport lounges can be extremely stressful and physically taxing, especially if one is a beginner. Planning a multi-city trip not only helps travellers relax but also stirs in an extra element of excitement, since they get to explore new destinations on the go.